AESOP trips Mt. Blue 1 and Mt. Blue 2 enjoy a game of light up frisbee over the campfire and under the stars. Maine has the darkest night sky east of the Mississippi, and you don't have to go far to find it--Mt. Blue State Park is just over an hour from campus. Nick Barker '18 measures the location and angle of different rock formations in the Gravely Mountains, with the Madison Mountains behind him in Ennis, Montana. Barker was enrolled in the Short Term course offering "Geology of the Northern Rockies and Columbia Plateau." Bates Ultimate Frisbee practice is blanketed by an early spring snowstorm. Armando Morales Urrutia '16, of Fraijanes, Guatemala, analyzes data during the Microcontroller Laboratory Short Term course. Lisa Legowski hangs a newly purchased Bates banner for her son Justin Legowski '19 of Farmington, Connecticut, while his roommate Eli Nixon '19 of Eliot, Maine, decorates his section of the room on Move In Day. Civil Rights leader and Congressman John R. Lewis, D-GA, delivers the Commencement Address Sunday, May 29 2016, encouraging students to "get into good trouble." Olin auditorium is transformed for the interdisciplinary performance of "Space Is The Place: The World of Sun Ra" on Monday, March 21 2016. 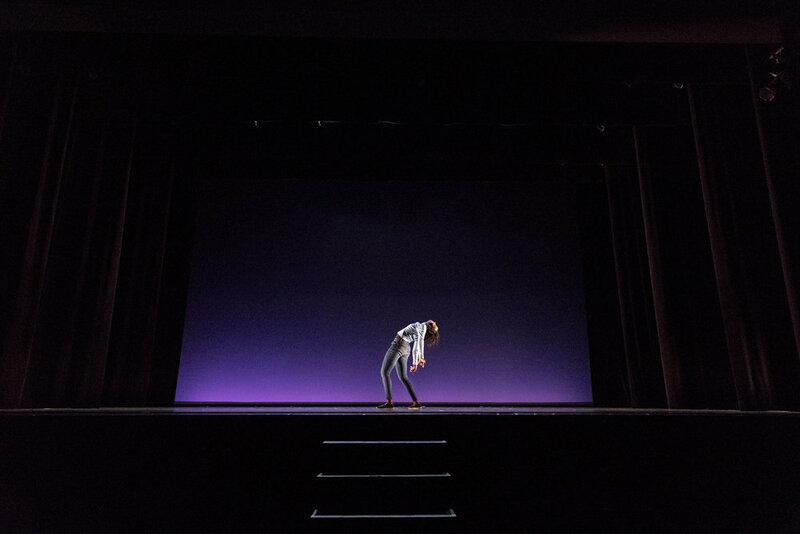 Chaeson Kim '18 is a featured dancer for one of the performance's movements. A worker prepares a fireproofing hose. Work continues through the rain at 55-65 Campus Avenue. William Sanders '19 of Arlington, Mass. explores a small island within the lake atop Tumbledown Mountain. 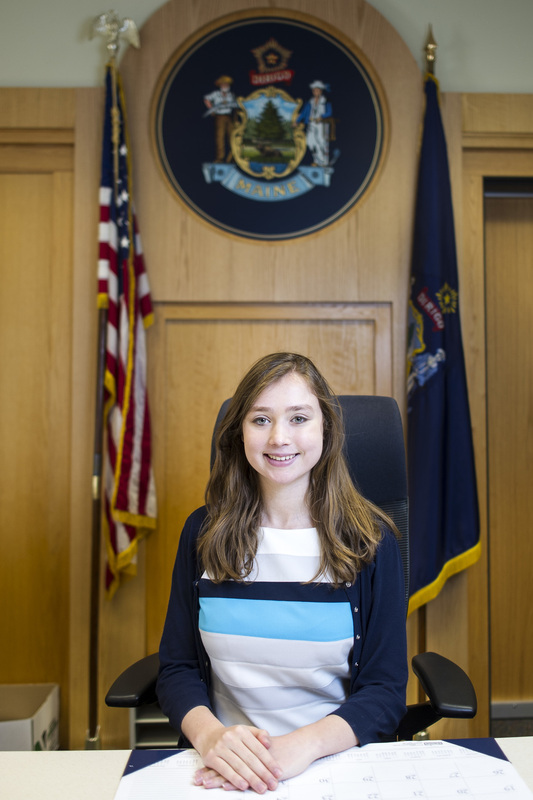 Olivia Bell '19 of Dover, Mass. (back left) takes a farewell selfie with her family: Sister Carly (bottom), Dad Robert (top right), sister Emily (bottom right) and mom Lisa, herself a 1986 Bates graduate. AESOP trip leaders get ready to make a memorable first impression on their first year students with an unexpected water balloon ambush in the Keigwin Amphitheater. 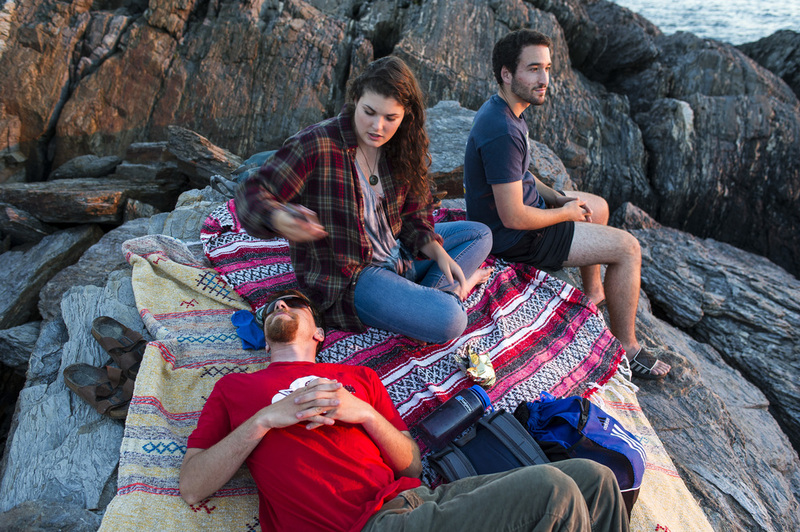 AESOP Coordinators Nat Silver '16 (L) of Bennington, Vermont and Sasha Lennon '16 (R) of Cape Elizabeth, Maine, find comfortable seating in which to distribute materials to trip leaders. (L to R) Amanda Mele '19 of Newtown, Connecticut jokes with Ceria Kurtz '19 of Jakarta, Indonesia and Edward James '19 of Scarborough, Maine during their orientation camping trip. A closeup of a soil sample from the "Microbes and Everyday Life" short term lab course, where students collect and analyze soil from across campus for different bacteria, fungi, and other Microbes. The more passionate hikers in the AESOP Mt. Blue 1 trip traversed to an even higher peak above the lake for some spectacular vistas. Bates students, let by Rachel Chappell '18 of Baltimore, march on campus in solidarity with nationwide protests against Police Brutality. Students and faculty enjoy an evening Acapella concert at Keigwin Amphitheater. The annual Back to Bates Acapella Concert is held in the Clifton Dagger Gray Athletic Building on Friday, Oct. 7 2016. Samreen Fatima '16 of Karachi, Pakistan plays her part in the Bollywood Dance to cap off Sangai Asia Night at the Schaeffer Theatre. Students gather to watch the Presidential debate between Hillary Clinton and Donald Trump on September 26th, 2016. Rowan University professor Ken Lacovara is a featured speaker at the GeoLunch session in Carnegie Hall on April 14, 2016. Lacovara is a leading expert on Dinosaurs and the mass extinction event. Assistant Vice President of Dining Christine Schwartz springs out from her hiding spot as students, faculty and staff came together to play Lazertag, darting and dodging between the many volumes of Ladd Library. Elise Krims '16 of Concord, Mass., models "Phoenix Rising from the Trashes," designed by Kevin Tejada '17 of Mount Kisco, N.Y. The design features magazines, aluminum cans, cassette tape and cardboard. Tejada noted "If Barbarella and Madonna had a child, this would be her." Students enjoy a T-Pain concert. An aerial view of campus and greater Androscoggin County. Sam Onion '20 cruises through the bike trails near Sugarloaf Mountain in Carrabassett Valley, Maine on Friday September 2 2016. A Fog Advisory was in effect for much of Maine and New Hampshire. 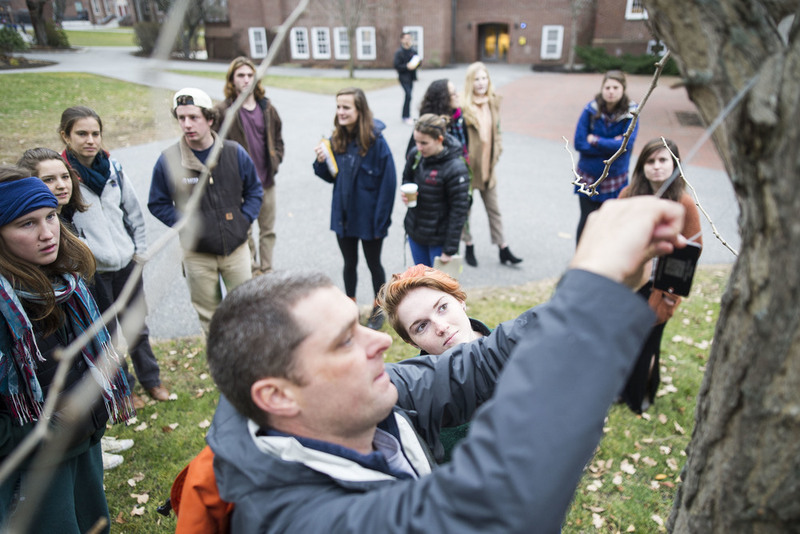 Rebecca Leloudis '16 of Chapel Hill, NC watches as Professor Brett Huggett hangs a tree tag. Students in Brett Huggett's class complete their semester long project of mapping and tagging all of the trees on the Historic Quad. Josephine Gillett '19 takes notes on the banks of Bobbin Mill Brook in Auburn on Monday, Oct. 3rd 2016 as part of a Water and Watersheds course, where students measure the flow of water from Lake Auburn to the Androscoggin River. Students flock to Lake Andrews for the annual Puddle Jump. Jason Ross '19 fulfills his production duties on Monday August 1 2016 at the Bates Dance Festival. 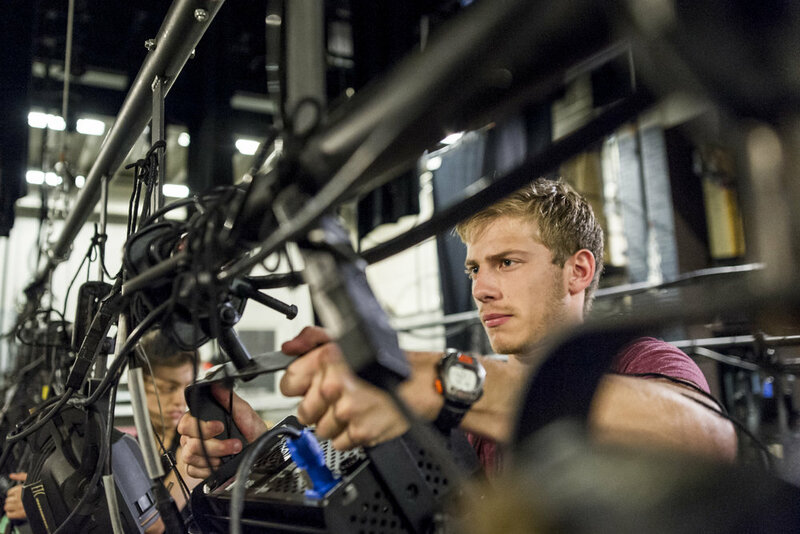 Ross is a chemistry major but has an interest in theater, and as a rising sophomore decided to jump in to a Technical Production internship with the Dance festival to put his interest to the test. First year students scale Mount David to view the sunset as they enter the first night of their Bates experience on August 29th 2016. Students hold a dress rehearsal for the Back to Bates Weekend Dance Concert in the Schaeffer Theater on Friday, Oct. 7 2016. Reunion participants gather for the annual Reunion Fireworks show over Lake Andrews on Friday night, June 10 2016. Geology students map and explore the American West as the National Parks celebrate 100 years. Students enrolled in the Short Term course offering "Geology of the Northern Rockies and Columbia Plateau" finish their geologic mapping project at the University of Montana Western in Dillon, Montana. Students tour the Montana Resources Continental mine, an open pit copper mine and the only remaining mine in operation in Butte. The class approaches a disabled shovel in the process of being restored. On the road from Butte to Cameron, Montana. Students set up camp at West Fork campground in Cameron, Montana. Nick Barker '18 takes full advantage of being in the renowned fly fishing region of southwestern Montana. Barker grew up with spinning reel fishing but couldn't wait to try some fly fishing after buying a temporary fishing license. Barker reflected, "as great as its been to do geology and work hard with students and professors, just having some alone time being able to fish in a beautiful spot--That was probably the highlight thus far." A fox trots across a field near the West Fork campground. Looking out over the main operations at Imerys Talc. The Imerys mine produces 250,000 tonnes of Talc annually to be used in the manufacturing of products such as soap, rubber, ceramics, paints, and paper. Sarah Stanley '16 takes notes in-between stops of the Imerys Talc mine tour. Professor Dyk Eusden introduces background information for the final mapping project of the course a few miles down the road from the Imerys Talc mine. With the Madison mountains as a backdrop, Lindsey Beauregard '18 works on her metamorphic mapping project near Ruby Creek outside of Ennis, Montana. Students head back down the ridge having completed the first day of their final mapping project of the course. Students converse around a campfire at West Fork campground after a long day of metamorphic mapping. Aiming to maximize his caffein intake, Owen Ahlborn '18 drinks coffee straight from the pot. Professor Dyk Eusden pauses to get a closer look at the scenery with his binoculars. A fault scarp is visible in the valley below the Madison Range. Donning colorful rain jackets, the class huddles next to the road in Firehole Canyon inside Yellowstone National Park. Students find themselves in the middle of a thunder-filled snowstorm at the Grand Canyon of Yellowstone. Owen Ahlborn '18 reads before getting some rest in West Yellowstone. 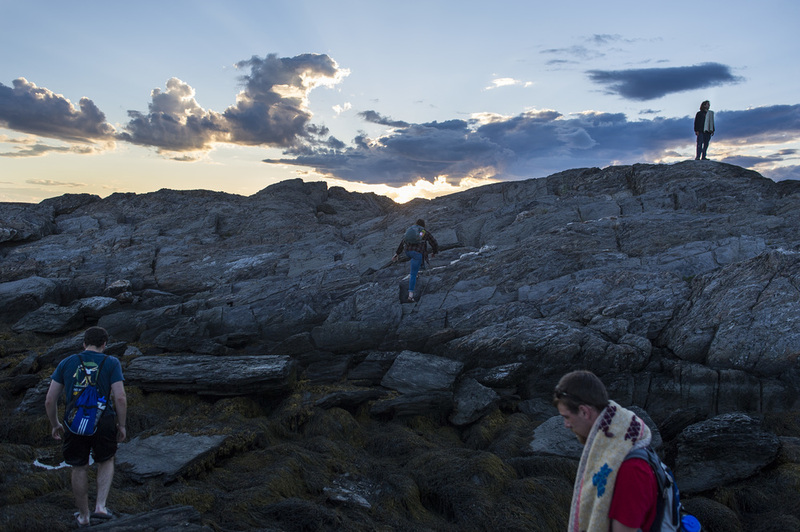 Geology students at the college's coastal research center in Phippsburg, Maine. 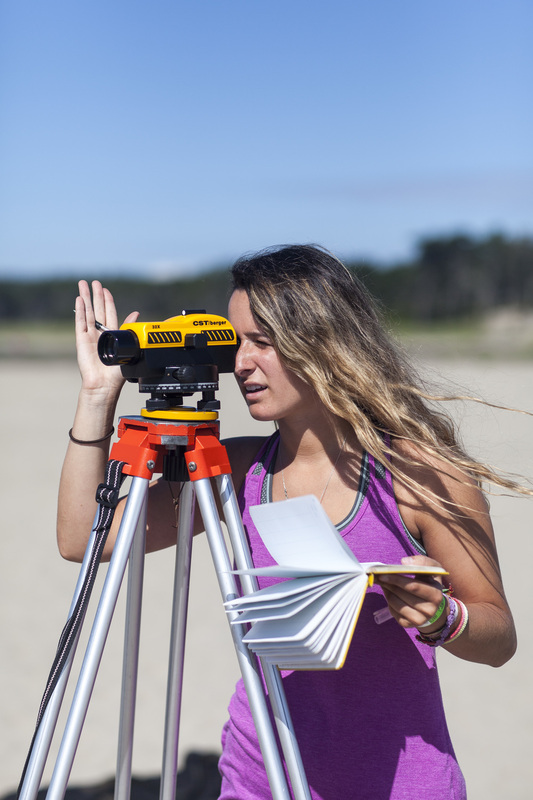 At Popham Beach State Park, Nicole Cueli ’16 of Fort Lauderdale, Fla., sets up an a transit, or autolevel, a device used by scientists, builders, and surveyors to measure distances and elevation changes. In the distance at right is Ian Hillenbrand ’17 of Terrace Park, Ohio. Cueli uses the autolevel. In her left hand is the geologist’s trusty companion, a yellow field notebook. 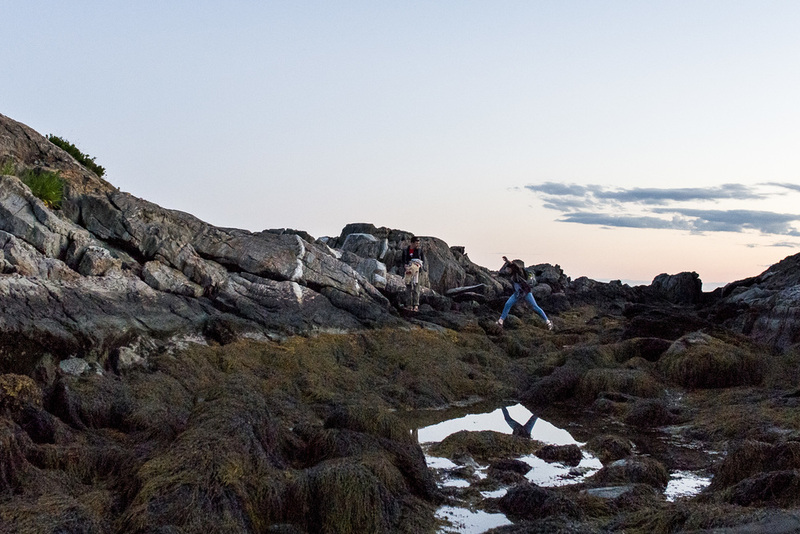 As Dana Cohen-Kaplan ’16, of Newton Mass., steadies the ladder, Retelle downloads weather data and time-lapse images from a unit mounted on the west bath house at Popham Beach. Back at the Bates College Coastal Center at Shortridge, adjacent to Bates-Morse Mountain and Popham Beach State Park, the Bates researchers break for lunch. 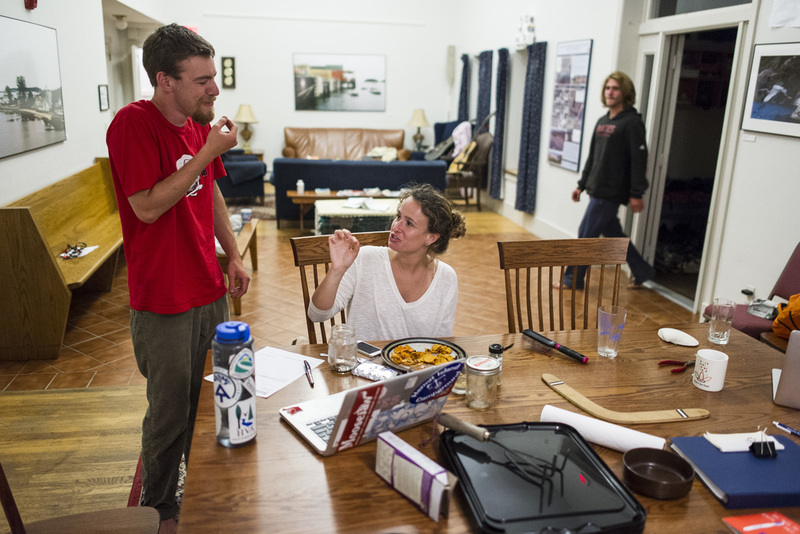 Here, Hillenbrand '17 and Cueli ’16 joke with Retelle, who is reviewing time-lapse images from the beach. 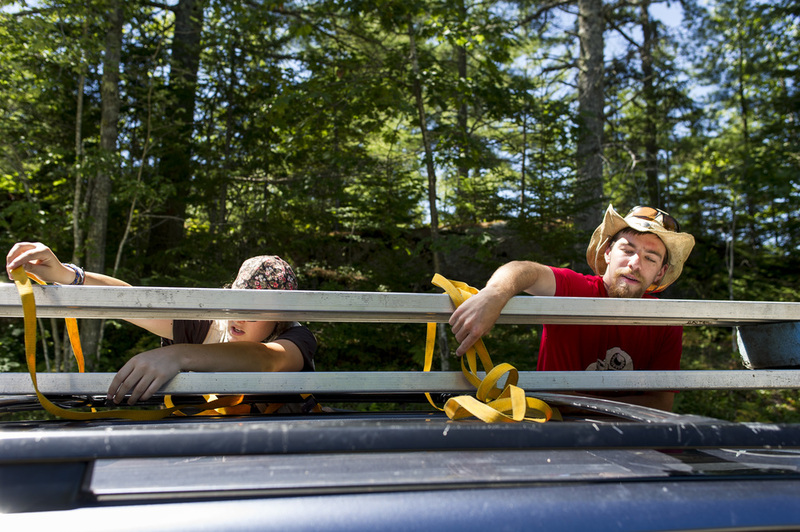 Geology majors Cailene Gunn ’16 (left) of Granby, Conn., and Dana Cohen-Kaplan ’16 of Newton, Mass., secure benches to the top of Gunn’s car before heading out to do fieldwork at Long Marsh in Harpswell. The distance from Shortridge to Long Marsh is just 10 miles as the crow flies, but it’s 30 miles (and a 45-minute drive) on roads that follow Maine’s infamously zig-zaggy shoreline. 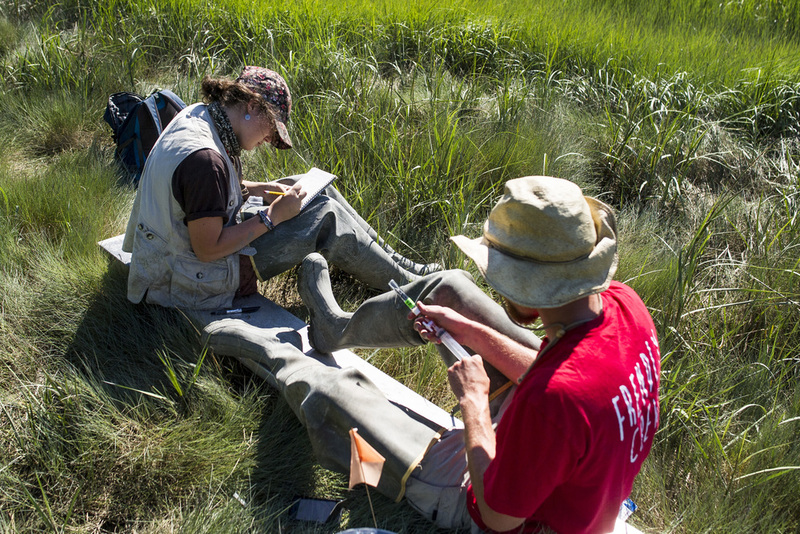 Gunn and Cohen-Kaplan have been working with geology professor Bev Johnson to measure the carbon budget of Maine’s salt marshes. Specifically, they are measuring the amount of methane released by two different salt marshes, the Sprague River Marsh, part of Bates-Morse Mountain, and Long Marsh, in Harpswell. Long Marsh, occupying a long, narrow glacially carved valley at sea level, has experienced restricted tidal flow for decades. As a result, its health has suffered. Tidal marshes are paramount to the overall health of coastal ecosystems. They provide nursery habitat for important fisheries, protect against storm surges, filter out pollutants, and serve as carbon sinks. 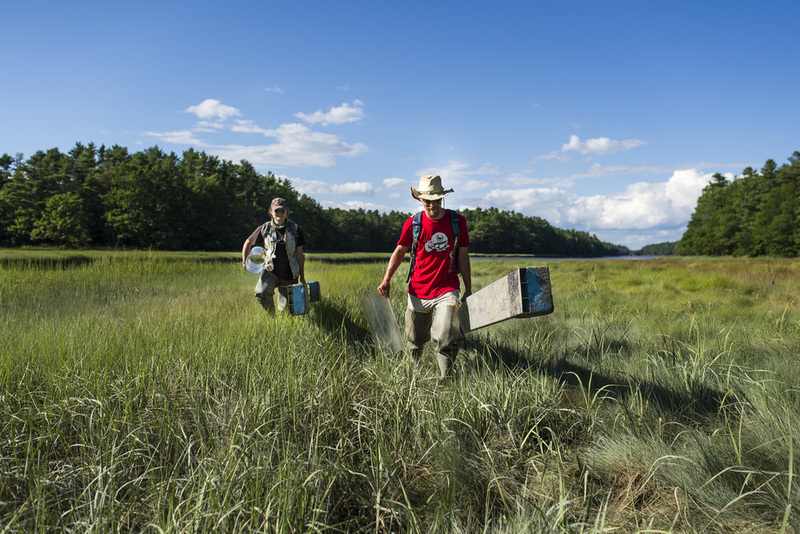 Unfortunately, most of Maine’s salt marshes have been anthropogenically altered in some way, and many are in need of restoration to function properly. Cohen-Kaplan '16 and Gunn '16 pack the samples and head back to Shortridge. Nathan Stephansky '17 makes a friend in front of Shortridge. Gunn and Cohen-Kaplan join Adam Auerbach ’16 of Silver Spring, Md., and Nathan Stephansky ’17 of Whitman, Mass., on Hermit Island., about three miles from Shortridge, where they watch the sunset from a spot called the Bath Tub. 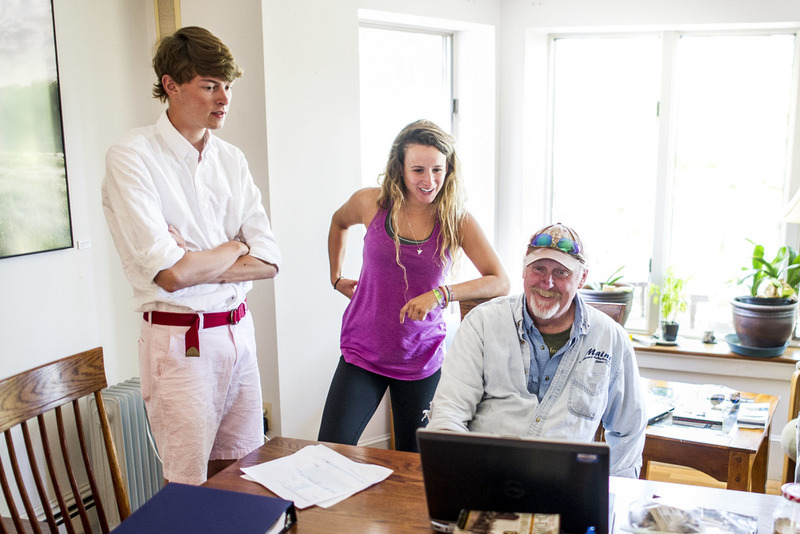 The four students, each of whom did fieldwork or related coastal work over the summer, used Shortridge as their home base. Gunn and Cohen-Kaplan join Adam Auerbach ’16 of Silver Spring, Md. on Hermit Island., about three miles from Shortridge, where they watch the sunset from a spot called the Bath Tub. 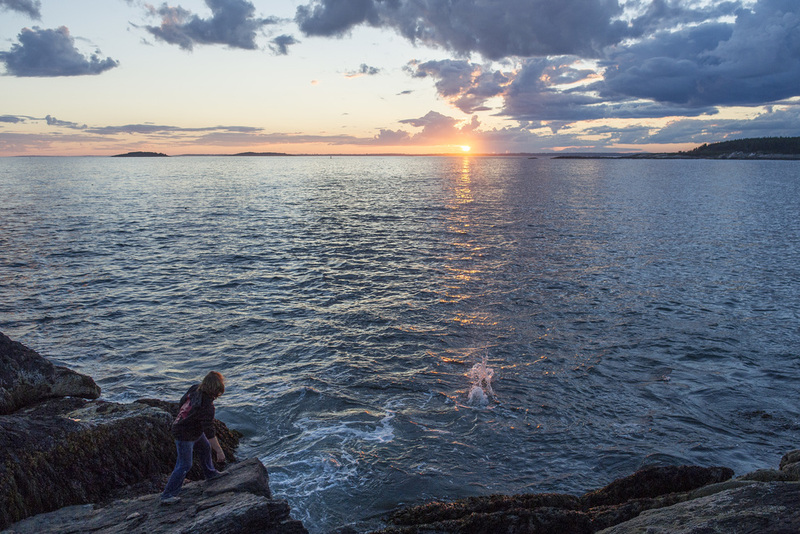 Nathan Stephansky '17 skips a rock into the Atlantic at sunset. Cohen-Kaplan and Cueli finish off their late supper at Shortridge. Shortridge was donated to Bates in the mid-1990s by John and Linda Shortridge, who had built a retirement home on the land. 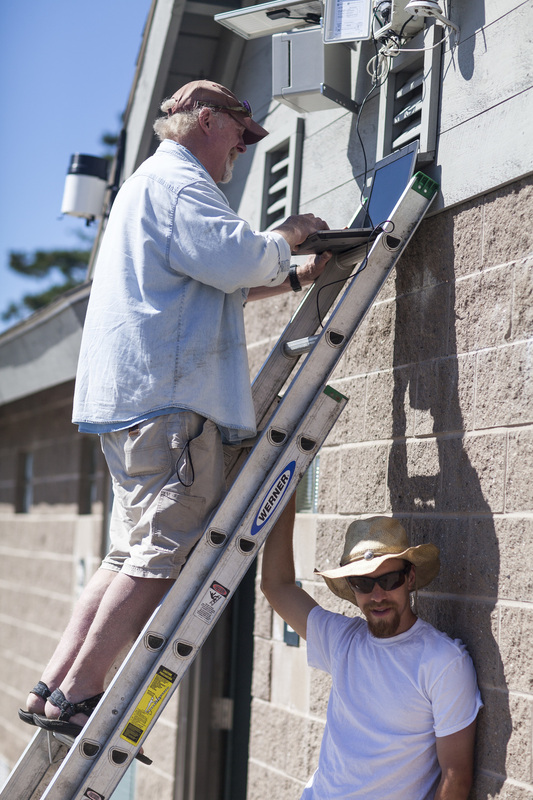 It has facilities for field research while also supporting other Bates activities. Each year, some 25 student groups, representing up to 400 students, use the center. The center sits on 79 acres of woodlands, wetlands, granite escarpments, and a glacially-scoured pond. At night, “the Rock,” an outcropping behind Shortridge that looks out over Meetinghouse Pond, is a dark and spectacular place — a perfect spot to watch the night sky. 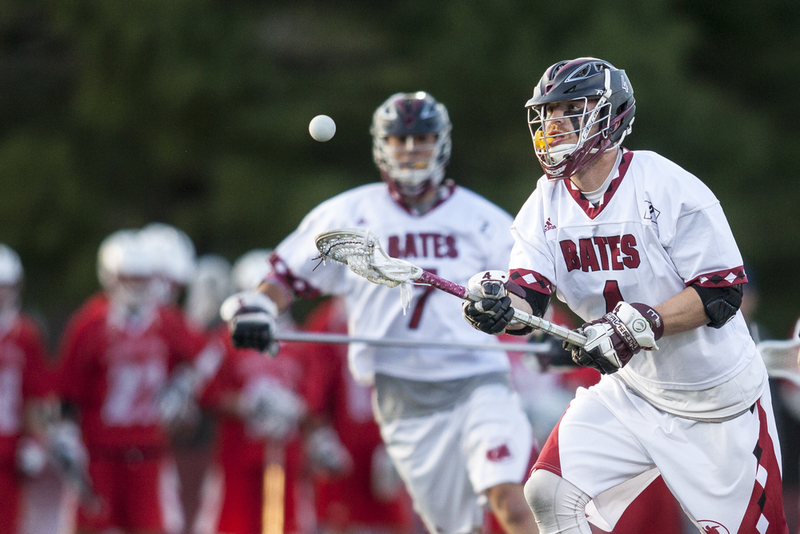 Highlights from Bates Bobcats athletic pursuits. 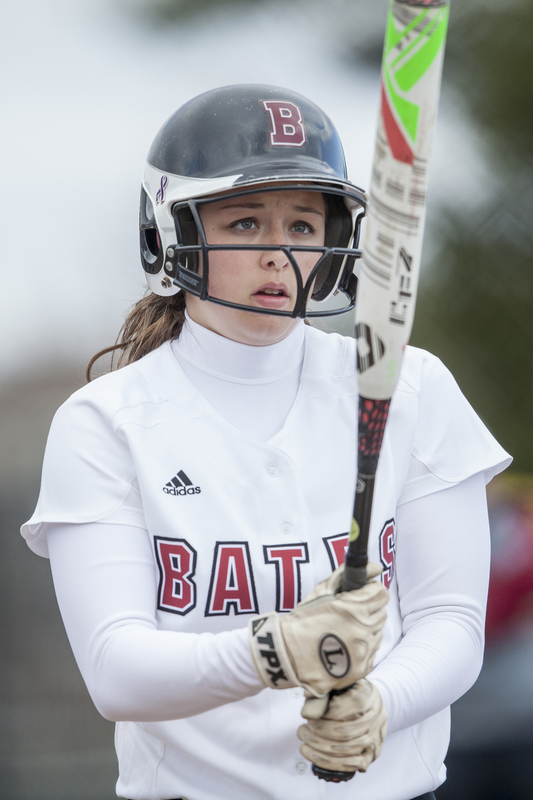 Bat meets ball as Bates hosts Bowdoin for an early spring matchup. Bates hosts the 19th President's Cup Regatta on the Androscoggin River in Greene, Maine. Bowdoin breaks up a double play as shortstop Brendan Fox '17 loses the ball. Maddie Inlow '17 regroups between pitches against Trinity College. Claire Naughton, who had eight kills against one attack error in Bates' 3-0 win over Southern Maine motivates her teammates in a huddle between points. Fergus Scott '18 of Wellington, New Zealand returns a volley in practice. 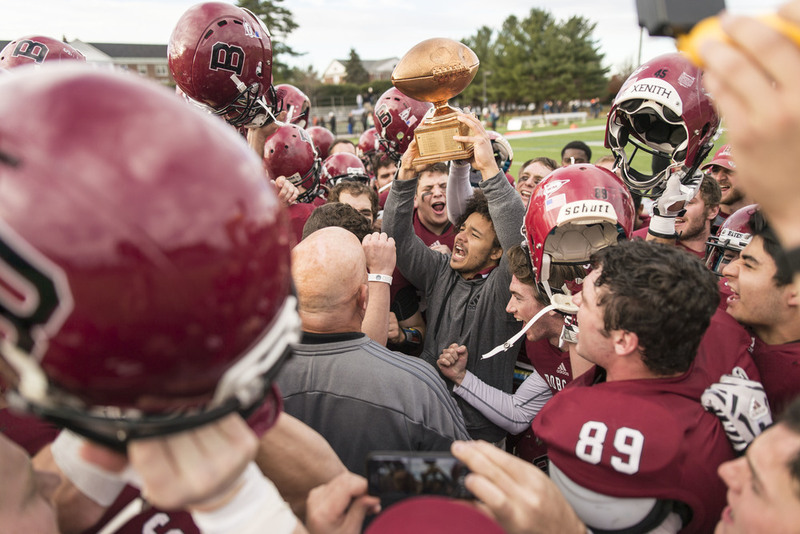 Max Breschi and Tucker Oniskey throw Noah Nelson for a loss in Bates' 31-0 win over Bowdoin for the 2015 CBB Championship. Ahmed Abdel Khalek lunges for the ball during his 3-1 defeat of Trinity's Rick Penders. Khalek notched his 50th consecutive individual win, and maintains his #1 national ranking. Emma Jarczyk '17 took first place in both 1-meter and 3-meter diving in Bates' dual-meet win over Middlebury on Jan. 10, 2016. Jake Shapiro '18 lays down a bunt against visiting St. Joseph. Allison Dewey '18 scored a goal and had three draw controls in Bates' 8-6 loss to Colby on April 27, 2016. Golf captain Brad Rutkin '17 tees off during practice at Martindale Country Club in Auburn, ME. Senior captain Mark Upton '17 narrowly misses a sack on the visiting Williams quarterback on October 8th, 2016. Several players take a knee together in protest during the National Anthem before hosting Colby on October 29th, 2016. The Bobcats host Bowdoin in a late spring snowstorm on Wednesday, April 6, 2016. 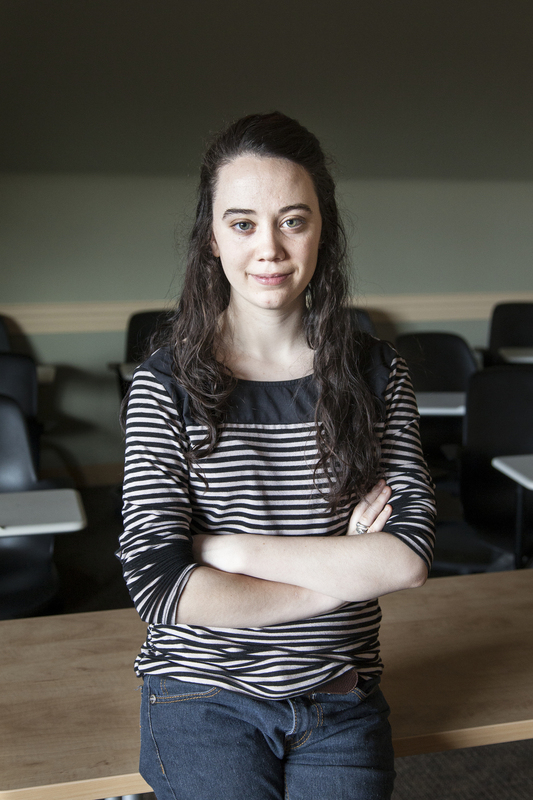 Portraits of Students and Staff made around campus, the greater Lewiston-Auburn community, and beyond.